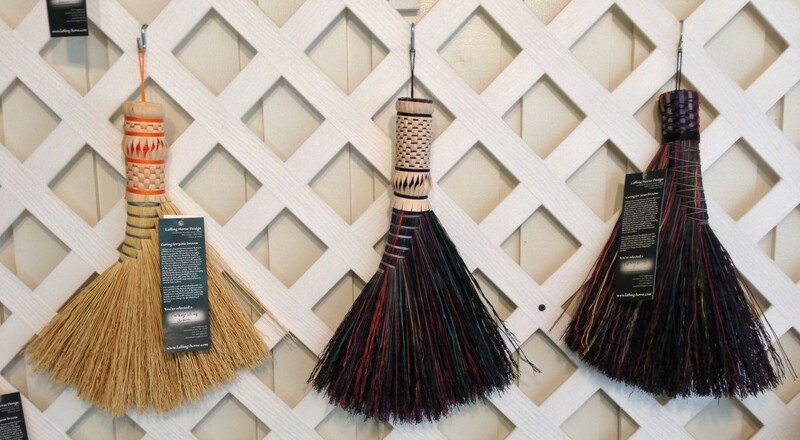 Broomcorn was not used in making brooms until around 1765. 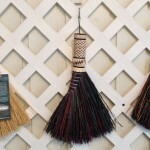 Before that date, a typical broom would have been constructed from birch twigs. In the Ozarks, dogwood was substituted for birch. If dogwood and birch weren’t available, willow could be used in a pinch. Regardless of the tree used to bind up the sweep, the fact of the matter was that these brooms, which might have been fine on bare dirt floors or rough plank floors, were unusable on tabletops, counter tops and around wood stoves and fireplaces for getting dust and ashes and crumbs. 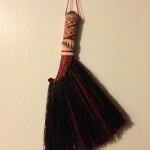 Back then, a preserved wing from a bird was used as a whisk or duster. 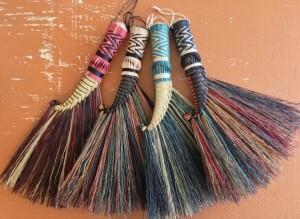 Once broomcorn was introduced the design of the bird wing was looked at and mimicked. 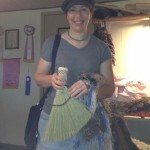 The broomcorn was bound down one side in a spiral like a wingbone. 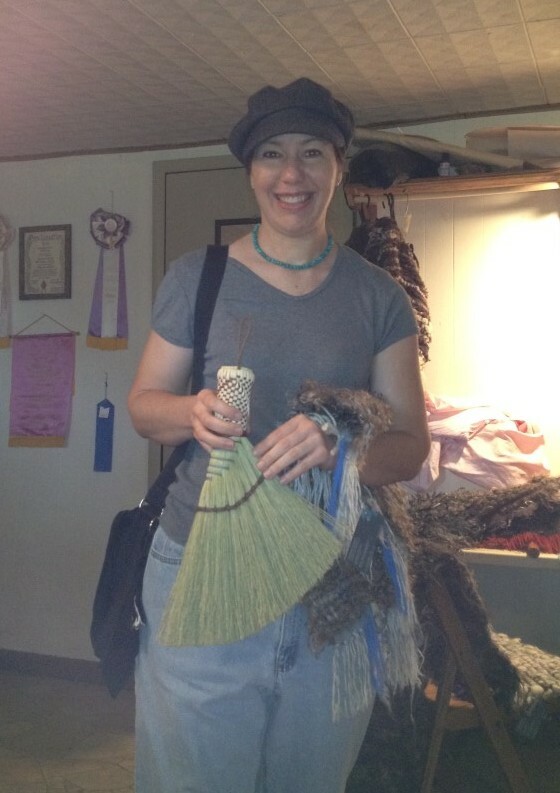 The brushier bits were fanned out the other side like feathers. 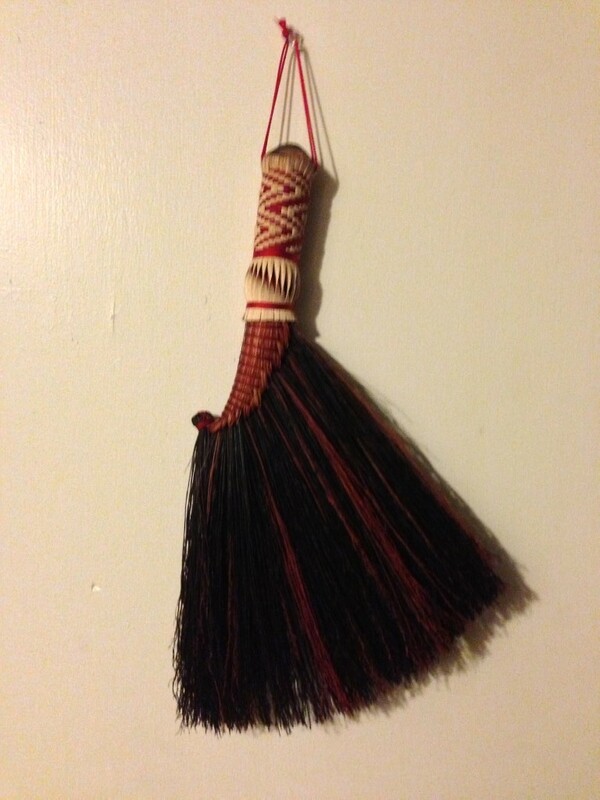 This style of broom was often trimmed to create a curved tip like a wing, too. 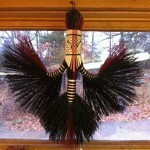 Alternately, the broomcorn can be bound down the center and fanned to either side like a tail. This is a style we call a Hawk Tail. 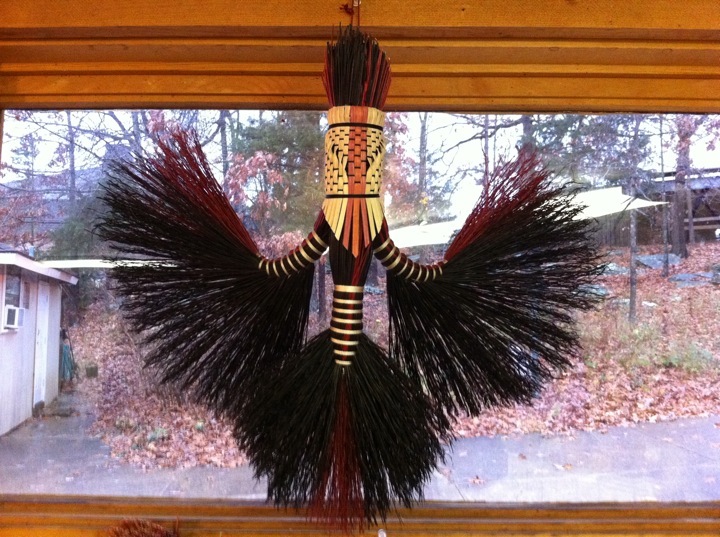 We make this style of broom in 8 different styles: the ornament wing, the mini wing, the turkey wing, the hawk tail, the fan wing, the braided wing, the rooster tail, a chicken wing, and the tom turkey wing. 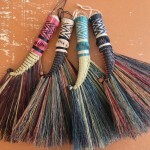 In fact, Shawn will gladly tell you that it’s his favorite broom to tie because the variations allow him to make brooms all day long and never make the same broom twice.